Having revolutionized cooking with the Dialog oven, Miele is also an e-commerce pioneer. Together with Intershop, the home appliance manufacturer is now running 18 online stores in the high-security Microsoft Azure cloud in Germany to serve major growth markets. This strategy includes dedicated stores for Australia and New Zealand. Miele began using the SaaS version of Intershop Commerce Management in 2010. Since migrating to the Azure cloud, the stores have always run on the latest Intershop technology. All Miele shops are managed by Intershop’s Full-Service department. does Intershop operate and manage on behalf of Miele—all of them in the high-security Microsoft Azure cloud in Germany. has Miele worked with Intershop. Miele has subsidiaries and importers in almost 100 countries. Create an agile, enterprise-level commerce solution for Miele’s key growth markets that is cost-efficient and easy to use. Scalability: enable easy expansion of online functionality without costly software rebuilds. Update: migrate from the legacy commerce platform to the latest technologies, including responsive storefront design. 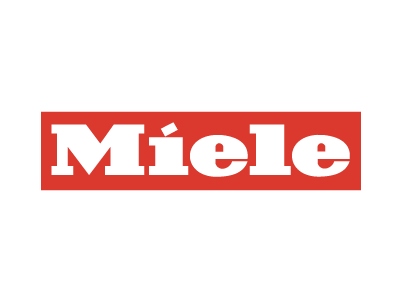 Full-Service: Intershop manages Miele’s online business as an external e-commerce department. State-of-the-art: Miele shops always run on the latest version of Intershop Commerce Suite (ICM). Secure: when upgrading the platform to the latest ICM version, the underlying SaaS infrastructure was migrated to the Microsoft Azure cloud in Germany. Seamless: integration with Intershop’s Full-Service image server, with SAP for category and product import, and with ASW, Navision, and IBS ERP systems. Seamless II: Miele’s warehouse systems, newsletter providers, and other resources are also perfectly integrated into the e-commerce platform. Each of the 18 online stores has single sign-on and Facebook sign-in functionality for ease of use.